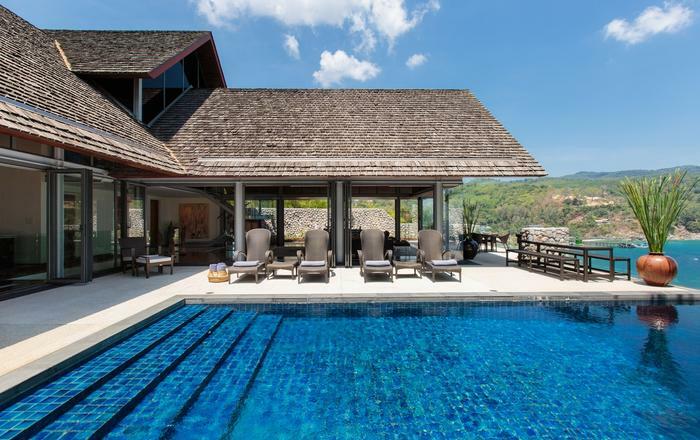 Originally built as a luxurious 6 bedroom family retreat, Baan Wanora has been lovingly designed and furnished to meet every need and wish. 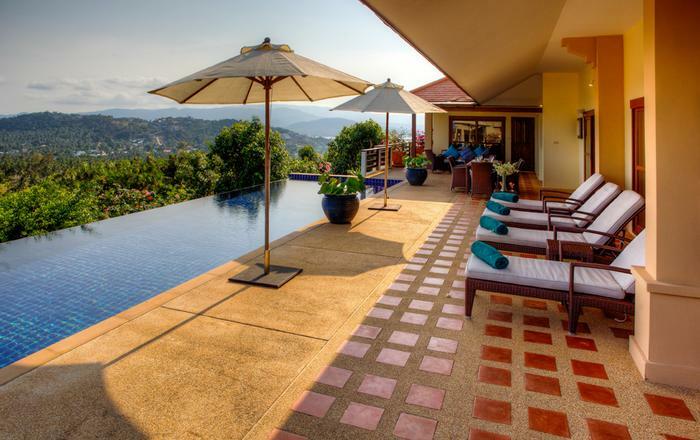 This incredibly special residence exudes a vibrant beauty that is a true extension of the family that owns it. 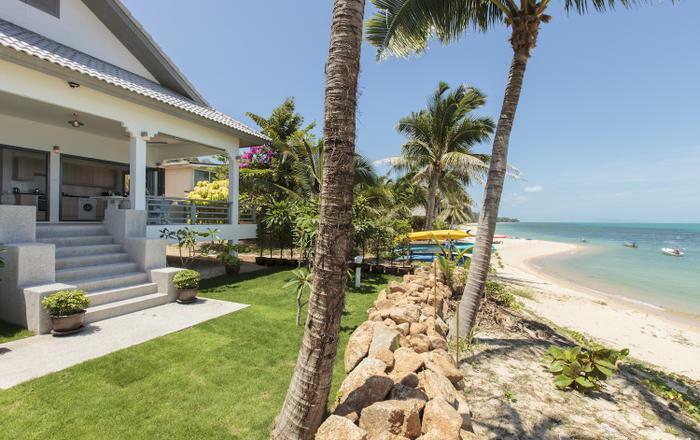 Creating a beachside residence with absolute attention to detail. 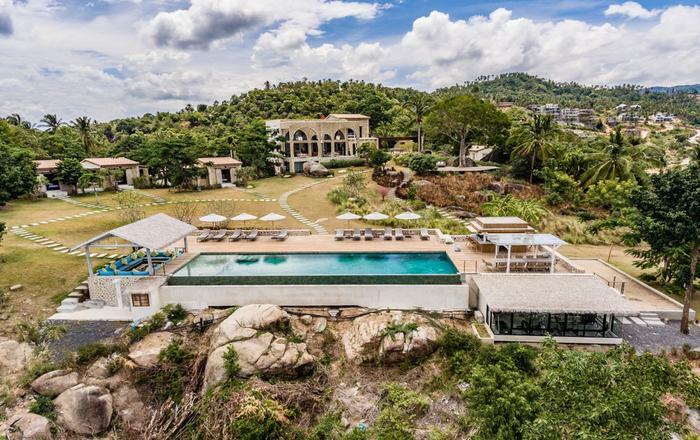 Stepping inside this private estate, the architectural merit is immediately evident as inside and outside merge seamlessly and beautiful views are a constant backdrop. The butterfly ponds abundant with lotus flowers and steppers, pave the way to the vaulted living space, centre stage in the villa. Large sliding doors concertina back in a unique design dissolving any distinction between indoor and outdoor living. The sumptuous lounge area featuring a high ceiling with fans has large sofa seating for up to 25 persons, 48” LCD, with an extensive DVD & book library. A simple natural palette spiced with warm vibrant colours and exquisite 100-year-old far eastern antiques allow this stunning space to speak for itself, as it entices guests to relax and unwind. Each bedroom sanctuary has been lovingly named after the children in the household. These elegant retreats with sumptuous custom made bedding, furnished with antique pieces and individual colour schemes, create gorgeous bedroom havens. 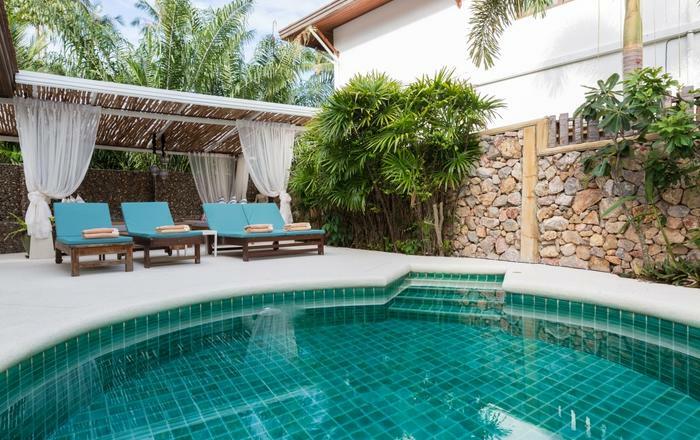 Baan Wanora is rather unique in featuring two master bedrooms by the pool side and close to the beach, with an additional three double bedrooms with views to the pool and their covered lounge area. A kid’s room with 2 single beds and a connecting door to an additional single bedroom, make an ideal children’s retreat, close to the main pavilion. The terrace outside features a small plunge pool cooled by an ornamental waterfall. Each room offers highly appointed bathrooms, some with additional outdoor facilities. The attention to detail in each room has been implemented to ensure that guests enjoy the utmost in comfort. For guest’s convenience, 32” flat-screen cable TVs, DVD players, Internet access, mini bar, full complimentary toiletry sets and room safes are available in each room. 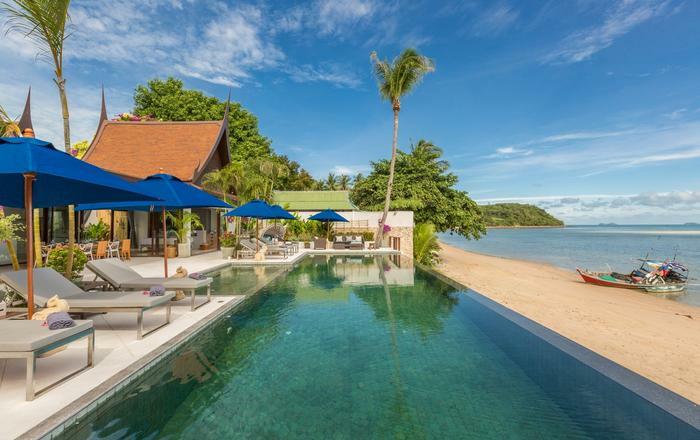 Baan Wanora is fully staffed by a team of Filipino, Thai and international hospitality professionals. Staff is on hand to help with special requests, as well as overseeing the daily running of the residence. Ensuring total dedication, staff live on site enabling 100% attention to guests’ needs and requests. Designed with entertaining in mind, gatherings around the large 16-seater dining table are drenched in unfolding views of the villa and beach. The large balcony also features a smaller 8-seater dining table for guests to enjoy some terrace dining. The thoughtfully appointed poolside sala, steps away from the soft white sands and azure waters of the Gulf, makes an excellent choice for outdoor dining in the lap of luxury at any time of day. Eating and drinking at Baan Wanora is considered to be an integral part of guests enjoying the very best of their holiday. The experienced chefs can prepare excellent menus for wonderful lunches and dinners, making staying in, the perfect option. The scenic seafront pool terrace with palm trees framing perfect vistas of sand and sea follows the dramatic sight lines of the 20m ebony tiled, virtual infinity pool. 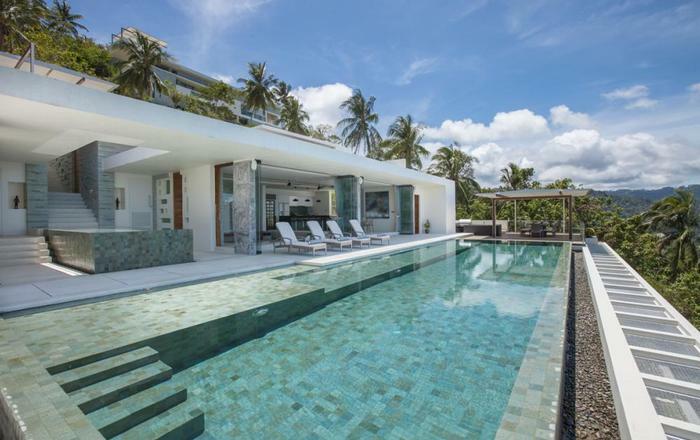 The impressive salt-water pool is commandingly positioned creating an elegant centrepiece in this well designed space. 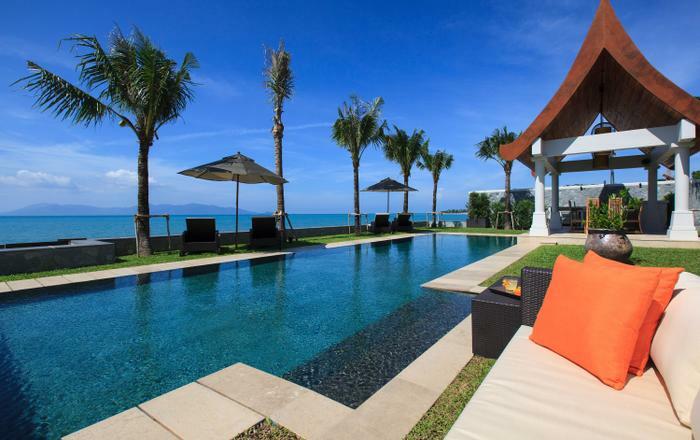 The swim up pool bar adds an interesting twist to the sleek design of this charismatic pool. 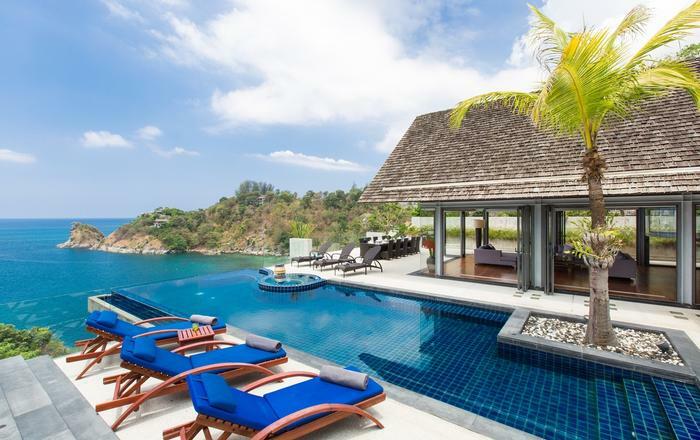 Large covered surrounding terraces offer relaxed chill spaces out of the heat of the day whilst bronzed body lovers can enjoy the full glory of the sun on the pool terraces, or the icing sugar sands of Laem Sor beach. The garden sparkles with the simple elegance of exotic beachside living. Live orchids are attached to each palm tree as indigenous plantings flourish in this lush tropical haven. The scents of the widely planted jasmine and frangipani trees fill the warm evening breezes as kaleidoscopic colours streak the sunset sky. Additional airport transfers charge of USD 50 is applicable, subject to 10% service charge; Charges for airport transfer are applicable per trip and for a maximum of 8 passengers per vehicle (private mini bus or luxury car).